Chatoyer Just paying tribute in song to a man - the Honorable Sir Joseph Chatoyer who stood up in the face of insurmountable odds on the island of Yurumei (St Vincent and the Grenadines) ancestral home of the Garinagu which boasts some of the most pristine beaches on Planet Earth. Buchanuagu Translation - I'm tired of the rat race, tired of the emotional and mental abuse, tired of always not having enough of the things that matter and longing for simpler days. Mohobub walked into WIRC Studio and made his presence felt immediately. Got U Back Gotta give some serious kudos to my backing vocalists Deborah Jeter and Patricia Green on this song with the big time reggae riff. It's a laid back groove to get with your significant other and remind her you always got her back. Enjoy this song anyway you like with Bill C on the bass. Freetown Gal OMG! The Elegant Flair dancers took this song and made it their personal playground. Look for their video performance on YouTube real soon. This song is dedicated to the Freetown Gals wherever they are. Props to Tim Lambey of WCB Productions on the video cam. 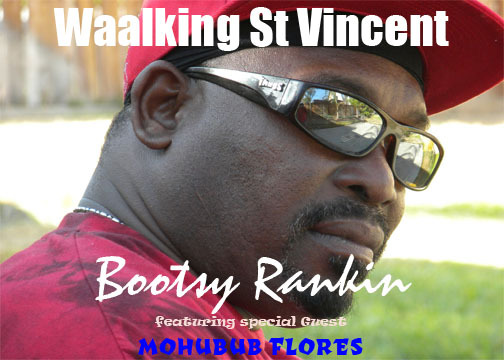 Waalking St Vincent Waalking St Vincent street was always a leisurely activity, hence the extra 'a' in the spelling. Everyone who's anyone has walked St Vincent - the most crowded street during 19th Nov celebrations. George Price waalked, TV Ramos waalked, and, well, we all did. Satisfacation Another extra `a' in the spelling, what's the deal here? Misprint? Nah! No chance, the spell check won't let that happen. Until we figure it out, sip a glass of your favorite Red or Chablis, in your living room, turn the TV volume down low and while Bootsy run things, go get some satisfacation! How Did We Get Here The slowest song in the set, drenched with raw emotion and vulnerability. We're left wondering where and when it all did go so wrong, really, I don't know! No one knows. It represents some difficult, trying times for Rankin, through it all, the sun still shines. Show Me Ah yes, the song that from the beginning felt like a freight train rumbling right by your bedroom window. You had to sit up and take notice with Glenn `CV Garcia of Umalali Studio at the primero controls - So if you got it, work it , show me, put it out there - oufudabei nu mamee! Radio Belize This tune brings back memories of a bygone era in Belize when Radio Belize ruled the airwaves - was the only radio station in the country and the first to expose Punta Rock. Lord Rhaburn ruled the music scene but lurking in the weeds was a group called Sounds Incorp. fronted by an up and coming Chico Ramos. 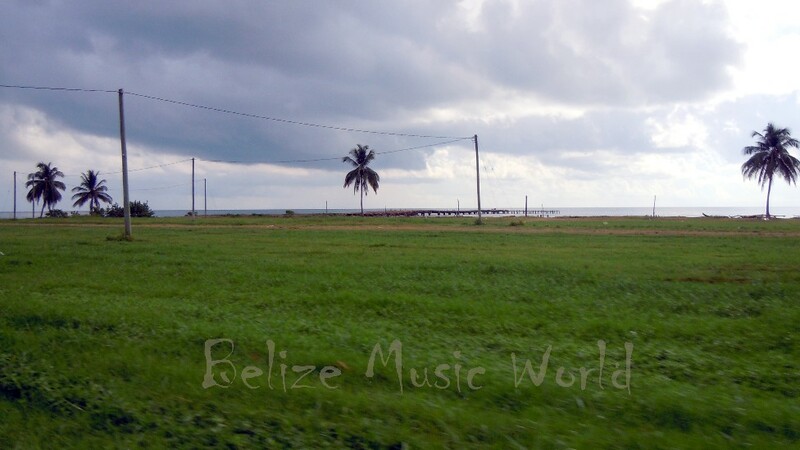 Radio Belize (club mix) A pure dance groove that invites you to dump the pumps, go barefeet and implore the DJs for more puntarock. Yep, now it's time for punta. Don't ever settle for less!